TAG Heuer S.A. designs, manufactures and markets luxury TAG Heuer-branded watches, chronographs and fashion accessories and markets Swiss luxury TAG Heuer-branded eyewear and mobile phones manufactured under license by other companies. TAG Heuer traces its roots to the 1860 foundation of Uhrenmanufaktur Heuer AG by Edouard Heuer in St-Imier, Switzerland. 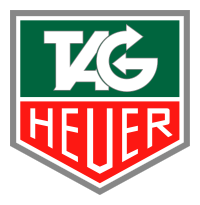 The company was purchased by TAG Group (Holdings) S.A. in 1985 and the Heuer brand became TAG Heuer. In 1999, TAG Group sold TAG Heuer to French luxury goods conglomerate LVMH Moët Hennessy • Louis Vuitton. Notable wearers and brand endorsers of TAG watches include Barack Obama, Lewis Hamilton, Leonardo DiCaprio, Tiger Woods, Brad Pitt and Shahrukh Khan.